Born: 23 July 1781, London, United Kingdom. Died: 23 March 1863, London, United Kingdom. William John Burchell, naturalist and explorer, was the son of Mathew Burchell, botanist and proprietor of Fulham Nursery, London. He was educated at Raleigh House Academy in Mitcham, Surrey, showed an interest in botany from the age of 13 and received some training in the subject at Kew Gardens. He also studied landscape drawing. His education was good enough to enable him to teach ancient and modern languages, mathematics and drawing. In February 1803, at an exceptionally young age, he was elected a Fellow of the Linnean Society of London on the basis of his reputation as a botanist. Two years later, in August 1805, he went to the island of St. Helena in partnership with a merchant, William Balcombe, but the partnership was soon dissolved and Burchell became a school teacher there in September 1806. Two years later he received an appointment as the (English) East India Company's naturalist on the island. One of his tasks was to develop a botanic garden where plants from the Far East could recover on their way to England. He did botanical surveys of the island, collected and sketched its flora, studied its geology, and collected insects. He also began a Flora Helenianae, which was, however, never published. Dr. M.K.H. Lichtenstein* and other visitors called at the island, and may have aroused his interest in southern Africa. In 1810, following interference in his plans for the develpment of the botanic garden by a new acting governor, he resigned his post and sailed for the Cape. Arriving in Cape Town in November 1810 he stayed with Reverend C.H.F. Hesse* for seven months. During this time he collected plants with Hesse and P.H. Polemann* around Cape Town and on trips to Tulbagh and Caledon. He also learned some Dutch, and made preparations for travelling. In June 1811 he left Cape Town in the company of some missionaries, travelling with them to their station at Klaarwater (now Griquatown). From there he travelled with only Khoi servants as companions for almost four years, covering some 7000 km. First he went on short trips from Klaarwater to present Schmidts Drift on the Vaal River (October-November 1811), and to the Asbestos Mountains (November 1811 - February 1812). He then travelled to Graaff-Reinet and back (February-May 1812), following a route through areas not previously explored botanically. His next trip took him to Dithakong, north-east of kuruman, and further north into the country of the Thlaping as far as the present Heuningvlei, and back again (June 1812 - January 1813). He made extensive notes on the local language, but most of this material was not published. In January 1813 he travelled to Graaff-Reinet (May 1813), and from there to Grahamstown (August 1813) and to his most easterly point at the mouth of the Fish River (September 1813). He then slowly returned to Cape Town through the coastal districts, arriving in April 1815. Shortly afterwards he discovered orchil (also orchilla, archil), the lichen Roccella sp., which yields a violet dye, growing in considerable quantity on waste land belonging to the government. He recommended its exploitation, but nothing came of this. Although Burchell travelled mainly through regions of the Cape Colony that had been visited before, his descriptions were more accurate and comprehensive than those of other travellers and included detailed weather data, compass bearings, and extensive accounts of the social conditions among both the European settlers and the indigenous population. During his travels he collected over 60 000 natural history specimens, most of them plants, seeds and bulbs (including 56 fungi and 90 lichens), but also more than a hundred skins, various skeletons, 265 different kinds of birds, insects, and even some fish. It was probably the largest natural history collection ever to have been made by one person in Africa and contained many new species. His notes on these specimens were accurate and detailed and included not only exact localities, but also ecological and phytogeographical descriptions of the areas he passed through. He furthermore made some 500 valuable sketches depicting landscapes, botanical and zoological specimens, and portraits of native inhabitants. He was a versatile scholar, whose informed interests included not only botany and zoology, but also anthropology, mineralogy and musicology. As a result he never fully concentrated on any one branch of natural history. He was, however, a skilled and well-trained botanist and zoologist and perhaps the greatest naturalist that South Africa has known. 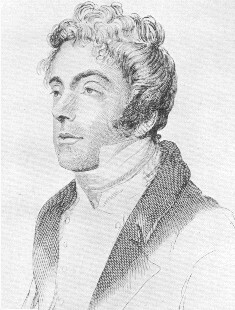 Burchell left the Cape in August 1815 and spent the next three years at his home in London working on his collections and cultivating the seeds and bulbs he had brought back. The latter activity produced at least 20 plants new to British horticulture. In 1817 he published the first description of the square-lipped rhinoceros (now Ceratotherium simum) in Paris. During the following years he prepared his travel journal for the press. It was published under the title Travels in the interior of southern Africa in two volumes, in 1822 and 1824. It included accurate and painstaking descriptions of his explorations to 3 August 1812, when he was at Dithakong; also a large and detailed map of the region up to 24 degrees south and as far east as the Keiskamma River, showing his route as determined by astronomical and geographical observations. Unfortunately the third and last volume of this classic work was never published and his diaries relating to the later period are missing. However, his field note book, or Catalogus geographicus plantarum, in which his plant collections are recorded, is at Kew Gardens. A list of quadrupeds brought by Mr. Burchell from southern Africa, and presented by him to the British Museum on the 30th of September, 1817, was published in London in about 1844. His index of common and botanical names of the plants of southern Africa was published by McKay (1938). In June 1919 Burchell was asked to give evidence before a select committee of the British House of Commons on the suitability of South Africa for British emigrants. He recommended the Albany district for this purpose and his evidence probably helped to persuade the government to aid the 1820 settlers. At this time he wrote a pamphlet, Hints on emigration to the Cape of Good Hope. In 1825 Burchell left England on another great expedition, accompanying a British diplomatic mission to Brazil. He first spent two months in Lisbon, collecting plants and learning Portuguese, arriving in Rio de Janeiro in July 1825. After travelling for several years and collecting over 50 000 specimens he returned to England in March 1830 and settled at the family home in Fulham, London, to work on his enormous collections for the rest of his life. However, he published nothing more. In 1832 he became a member of the council of the British Association for the Advancement of Science (founded in 1831), while in 1834 the University of Oxford awarded him an honorary doctorate in Civil Law. He was a courageous and resourceful person with a penetrating intellect. In 1863, at the age of 81, he took his own life. Burchell's botanical collections, drawings and manuscripts were presented to the herbarium of Kew Gardens by his sister after his death, while his entomological material, on which a description of the new genus Teracolus was based by Swainson, was given to the University Museum at Oxford. He was a perfectionist, and his catalogue of this collection was a model of careful work. The birds he collected in South Africa went to the same museum. In addition to the birds described as new in his Travels, others were described by W. Jardine and other ornithologists. He provided some of the first descriptions of freshwater fishes from South Africa in his Travels, namely those of the small mouth yellofish (Barbus aeneus and the barbel, or sharptooth catfish Clarias gariepinus. He is commemorated in the names of several species, including Equus burchelli (Burchell's zebra), Pterocles burchelli (Burchell's Sandgrouse), Centropus burchelli (Burchell's Coucal), and the plant genus Burchellia. Burchell's youngest brother, James, arrived at the Cape in 1820 and resided in Port Elizabeth as an apothecary, chemist and druggist to about 1862. Burchell, W.J. Travels in the interior of southern Africa. London, 1822-1824 (2 vols). Reprinted, with an introduction by I. Schapera. London: Batchworth Press, 1953. Doidge, E.M. South African fungi and lichens to the end of 1945. Bothalia, 1950, Vol. 5, pp. 1-1094 (see pp. 23-26). Geary-Cook, R. William John Burchell. Veld and Flora, 1975, Vol. 61(3), pp. 8-10. Hocky, P.A.R. et al (eds). Roberts birds of southern Africa (7th ed.) Cape Town: John Voelcker Bird Book Fund, 2005. Hutchinson, J. A botanist in southern Africa (pp. 625-641). London: Gawthorn, 1946. McKay, H.M. William John Burchell in St Helena, 1805-1810. South African Journal of Science, 1934, Vol. 31, pp. 481-489. McKay, H.M. The index to the aboriginal, African and Dutch names of the plants of southern Africa, with reference to the Plantarum Africae et Extratropicae by W.J. Burchell, compiled in the years from 1810 till 1815. Journal of South African Botany, 1938, Vol. 4, pp. 129-141. McKay, H.M. William John Burchell, botanist. Journal of South African Botany, 1941, Vol. 7, pp. 1-18, 61-76, 115-130, 173-186. McKay, H.M. Who's who in South African ornithology. Bokmakierie, 1948, Vol. 1(3), pp. 41-43. Norwich, O.I. Maps of Africa. Cape Town: A.D. Donker, 1983. Poulton, E.B. William John Burchell. Addresses and papers read at the joint meeting of the British and South African Associations for the Advancement of Science held in South Africa 1905 (Vol. 3, pp. 57-110). Johannesburg: SAAAS. Sclater, W.L. South African ornithologists. Journal of the South African Ornithologists' Union, 1905, Vol. 1(1), pp. 3-8. Skelton, P.H. A complete guide to the freshwater fishes of southern Africa (pp. 3-5). Southern Book Publishers, 1993. Talbot, W.J. Pathfinders and pioneers, explorers and scientists. In A.C. Brown (ed. ), A history of scientific endeavour in South Africa (pp. 1-32). Cape Town: Royal Society of South Africa, 1977.